Welcome to Flightdeck Safety Initiatives! Flightdeck Safety Initiatives is a global provider of custom designed safety training and educational systems for high risk industries. Amongst others, these industries include Aviation (Airline, Corporate and General), NASA, Medical, Petrochemical, Shipping, Railway and Mining. FSi seeks to reduce threat and error, improve communications and teamwork thereby making workplaces safer and more efficient resulting in reduced incidents and accidents. Several decades ago, aviation had to address poor operational outcomes resulting from stress, fatigue, communication failures, error chains and a culture of blame. Realizing that human factors account for 60%-80% of aviation accidents, the industry developed Crew Resource Management (CRM) to train multiple disciplines to work together in a coordinated, safety-conscious environment. 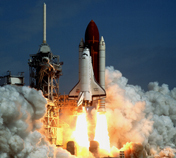 CRM helped make commercial aviation the safest form of transportation available today. 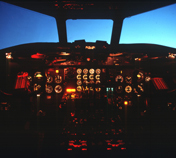 With increasing awareness of the similarities between aviation and other high-risk industries Flightdeck Safety Initiatives (FSi) has developed an aviation based CRM program, “LESSONS from the FLIGHT DECK.” In this highly interactive, multi-disciplinary course, participants gain new skills in improving communication, trapping errors and developing processes that contribute to overall safety. The success of CRM in commercial aviation has caught the attention of many other high-risk industries. Drawing upon the similarities between aviation and these industries, FSi designed a comprehensive Safety Learning System called LESSONS from the FLIGHT DECK™. This multi-disciplinary learning system addresses the real root causes of safety outcomes. LESSONS from the FLIGHT DECK™ equips clients with a full suite of services, that help prevent errors create seamless communication among team members, improve staff morale, and create more effective work processes. 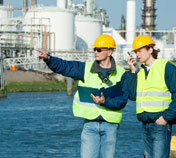 FSi helps clients successfully deploy the CRM approach to safety. FSi facilitators are Crew Resource Management experts who help clients improve safety outcomes using a unique, inter-disciplinary, inter-industry approach. FSI brings together safety best practices from a variety of industries to help clients get better results, in less time. Clients benefit from FSI’s broad and deep experience applying CRM in demanding, real-world business environments.